When you need information on support services. Sometimes it’s hard to manage at home the way you used to because of an injury or an illness. Or maybe it’s simply because you’re getting on in years. 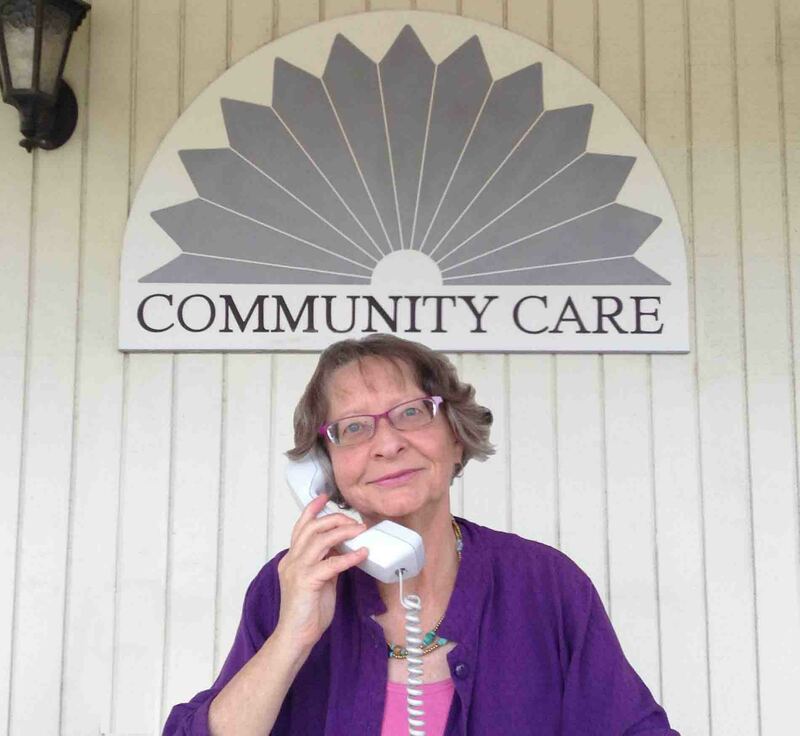 Community Care provides free Information and Assistance services for seniors 60 years and older in Lake and Mendocino Counties through funding from the Area Agency on Aging of Lake and Mendocino Counties. Our Community Resources Specialist is available Monday through Friday, 8 a.m. until 5 p.m., to answer questions regarding community resources/services, provide assistance in connecting with appropriate agencies, and help in understanding requirements for services. Just call! Our Community Resource Specialist will discuss your needs and then help direct you to area services which may help you. If your need includes Care Management, then this call is also an opportunity to learn about Community Care’s programs in the context of other area services. It can be difficult to keep up with new programs and agency changes in a community. It’s also difficult to access this information if you are a family member living elsewhere but trying to advocate for an elder person in our community. Our Community Resource Specialist can help you to understand your options and make you more efficient in accessing resources. Recorded 12/9/2015, this relaxed slide-show presentation and discussion with two facilitators of Ukiah’s two-year-running Death Café offers insights into what it is like to attend a Death Café gathering and how this has become an international movement. The hour-long conversation also touches on related topics like home funerals, threshold singing, and the new California End of Life Option Act. You can view this unusual and informative chat by clicking here. Voluntary donations are gratefully accepted.